Rosalia de Castro (1837—1885) is a poet who wrote in the Galician language of Northwest Spain, as well as in Spanish. She was born in scandal as the illegitimate daughter of a priest. 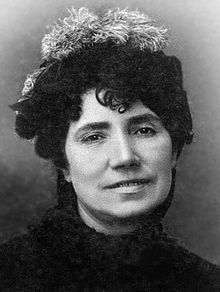 In 1863 her first poetry collection, Galician Songs, was published on the 17th of May—a date still celebrated as Galician Literature Day. Her book helped the cause of reinstating the Galician language for literary purposes. Seventeen years later her book New Leaves appeared—a book where she identifies closely with widows, orphans and other destitute individuals. These homeless become a symbol of Galician poverty. In her latter poetry she also became tormented by spiritual doubts, often crying out in her poetry for God to restore her faith—a prayer that seems to have been answered before her death. Federico Garcia Lorca is one of the twentieth century poets whose attention to her poetry helped to re-establish her literary reputation. The following is from the English-language collection of her work, Poems, edited and translated by Anna-Marie Aldaz, Barbara N. Gantt, and Anne C. Bromley. that only He can see. I say, "How wise is God!"